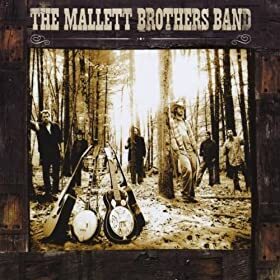 This first interview on our site is dedicated to Will Mallett from the Mallett Brothers Band. Disclaimer: I know Will personally and count him among my friends. But this said, I enjoyed his music and his songwriting abilities before I ever met him in person. “[the Band won] Best Local Act, Best Live Act, and Best Local Album. Their fall 2010 performance at the National Underground in NYC was listed among the “Best Shows of 2010″ by the award-winning music blog Hidden Track, and their debut album was named the Top New Local Album (Maine and New Hampshire) of 2010 by Bull Moose Music, after spending nearly a full year on the weekly Top 10 Local Album chart. 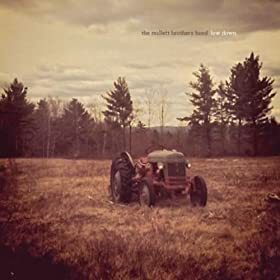 They shared a bill with the likes of Derek Trucks, The Flaming Lips, Jakob Dylan and Furthur at the 2010 Nateva Festival; […] The band most recently won first prize in the 2011 “Rockin’ Country Showdown” put on by 99.9 The Wolf, southern Maine’s #1 country station.” That first prize included a check for $25,000, by the way. I originally asked both Will and his brother Luke if they would agree to an interview. They both agreed, but at this stage only Will sent me his info back. So Luke, no pressure, brother… anytime you’re ready, I’ll be happy to publish your answers! Luke and I grew up half in Nashville and half in northern Maine, moved back to our dad’s family farm when Luke was 12 and I was 10. 6 generations up there within a two mile radius, so we were sort of obligated to grow up there. After high school I moved to Vermont for college, got involved with bluegrass and string band style music, so when I moved to Portland to crash on my brother’s couch after college that’s pretty much where I was at. [bass player] Nick Leen was also living with Luke at the time, he was pretty much responsible for getting us to put a band together. I’ve always put together melodies and pieces of lyrics, but never polished anything off until I knew I’d end up playing it live. A line can come and be enough on its own without turning into a full 3-minute song or whatever, so I’d always sorta half write things and have these ideas floating around. I’m usually music first but it definitely depends. Some songs are more driven by the lyrics, and some lines are so perfect for music that you have to build a song around them. But generally, it’s an instrument, a melody, and the lyrics come on their own after that. The music writes the lyrics a lot of the time. 4. There is often an underlying sense of humor in your songs. How important is that to your songwriting? I think having a sense of humor is a good way to live life, so if music is some sort of expression of a world view or an emotion or anything, humor comes up a lot. But it definitely doesn’t have to be there, and definitely isn’t all the time. I get down on the bleak stuff too. 5. As brothers, do you write tunes together, separately, or both? Both. Unsurprisingly, I guess, we’re usually on pretty much the same page and know where each other’s heads are at when it comes to a song’s development. So we can help each other fill in gaps and stuff, and generally trust each other’s instincts. 6. Do you feel that being brothers sharing the same band helps the songwriting effort, as opposed to two strangers “artificially” getting together to write? I think co-writing can work in a lot of ways, but it definitely helps that we’ve shared a lot of the same life experiences. One of us will know where the other one is coming from without much discussion about it. It’s a cool thing. Songs are like lighting, man! Hit me when they hit me. But it definitely helps the polishing process to have some discipline. 8. On your first album, the song Emily – which is a great song live, by the way – suggests that there may be more to the song than just a random story… anything you’d care to share? Thank you! That one actually isn’t about anybody in particular. Just had a groove going and it sounded like a broken-hearted country song. But, you know, a happy one. But yeah it’s about nobody named Emily and it’s about everybody named Emily. 10. I have a fascination w/ the opening line of songs. For example, when I heard the Avett Brothers’ “If I get murdered in the city, don’t go revenging in my name” I knew I had to listen to that song till the end. An opening line of one of your songs that had the same impact on me was “We had ourselves a once upon a time.” from Watch You Walk Away. How did that line, and by extension that song, come about? That one came up while I was driving back up to Sebec after playing the Common Ground Fair in 2009. I was close to Dixmont where I was born, and I think I was thinking about the old house and that made me think about old places and old things. A general feeling of nostalgia. And then that feeling took over and it went somewhere else. Nothing quite that quick for me, but Walk Down the River was pretty close, that was an hour and a half or so. And another one we’re calling “Muddin” or F-250, not sure yet, we all put our heads together and busted that out in a couple hours. I feel like everything can be a keeper, just depends on what happens to it. I have a lot of not-quite-ready songs that will probably end up on something somewhere down the line, they’re just not quite there yet. Or that’s how I like to think of it anyway. 13. When you write a song, if you write it with just an acoustic guitar, how much of the final arrangement as a 6-piece band enters the equation? Sometimes I think about how it will sound with the whole gang, but typically I feel like it should be able to stand on its own too, so I think I write with that in mind. Write it so that it could be played however and still work. 14. “Good with the better” is a killer song live. It’s got a great hook, great energy, and allows individual musicians – dobro, lead guitar – to really stretch and have some fun. How did this song come to be? Luke had lyrics, I had a lick. That was that one. I like to grab a new instrument. That usually blows my mind, playing anything that I’m not used to playing or haven’t played in a while. Or a new tuning. I’d say “this is what I think, so take it with a grain of salt,” but I’d say start with one true statement and build on that, and keep it simple. More simple is more universal to me. 17. If I told you you can have three things of your choice to go write a song… what would those three things be? An acoustic guitar, a banjo, and a nugget of wisdom. And maybe cigarettes. I don’t think you ever know, or I don’t really. If it’s on a record I guess it’s time to stop tinkering, but a song can always evolve over time, you can change it, play it different, rewrite lyrics, whatever. I think that’s why folk songs are so cool, people are always tinkering with them. 20. What should we know about your latest CD, available October 7th? We tried to capture the energy and intensity of our live shows, and I think we did a pretty decent job. You should check it out. Thanks Will… but I already own a copy! I am very excited to announce that several songwriters for whom I have a ton of respect have agreed to be interviewed. I will be adding the transcripts to the site as soon as I have them in my possession. I really look forward to reading what they have to say about their craft, what their song writing processes are, how they fight writer’s block, etc. The interviews will also feature videos and/or sound recordings of their songs so as to illustrate their answers. I am fortunate to personally know some fabulous songwriters but I am always open to suggestions if you have them, so don’t be shy and email me at mojo at mojocaster dot com. 2. The body of the email should include the name of the songwriter, if appropriate the band name, a link to their URL and the reason why you feel they shoud be interviewed.